Kingsbury, Warwickshire Sunday 8th September 11:30 a.m. This is an easy 8 mile walk on even ground, on footpaths, towpaths, and a short section on a road. There are several opportunities to take a short cut on route, and finding your own way back is straightforward. The theme for this walk is 'birds and water' and we will encounter three types of waterway - lakes, canals and streams - and three types of birds - waterfowl, seagulls and songbirds, so binoculars are a good idea. We begin by travelling on the Echills Wood miniature railway (picture above), which will take us to the starting point of the walk itself at Far Leys, within the park. A single journey on the train costs £1.00 per head. Unfortunately dogs are not permitted on the trains, and so any dog walkers will have to walk ¾ mile to Far Leys (clearly signposted) on the car-free road that runs parallel to the railway. We will wait for you when we get off the train (journey time approx. 10 minutes). We first walk through the park towards the canal, crossing under the M42 and past several lakes (waterfowl and seagulls). Turning northwards we walk alongside the Birmingham & Fazeley Canal and enter the RPSB reserve of Middleton Lakes (free admission). We skirt around more lakes (waterfowl and seagulls) before entering the part of the bird reserve that is on the opposite side of the canal (songbirds). We will stop for lunch in the courtyard of 13th century Middleton Hall, where there are toilets, craft shops and cafés, but only food bought on the premises can be consumed here. Alternatively, those with their own packed lunch can eat it in a wooden shelter nearby. We walk round the perimeter of Aston Villa's training ground club before crossing some fields to enter Bodymoor Heath Road. Here we will have to walk in single file for approximately ½ mile back to the canal. We then follow the towpath in a southerly direction passing the Dog & Doublet pub. We can stop there briefly for refreshment if time permits, and it is where we will be eating afterwards. We leave the canal near a lock and walk across fields to the village of Marston, at which point we re-enter the park and return to our starting point. Meeting point and Parking: Drive* into the main entrance of KingsburyWater Park, Bodymoor Heath Lane, Sutton Coldfield B76 0DY. Entrance is £4.50 per car, so you may wish to car share. The automatic barrier takes payment by coins only, although the entrance is sometimes manned at busy times. Please ensure you enter the park by the main entrance, and not via the Broomey Croft entrance. We will assemble outside the reception centre and shop, which you will see on your left as you drive in. There are toilets and a café there, and an adventure playground nearby. Eating afterwards: For those who wish to stay on, we will drive the short distance to the Dog & Doublet canalside pub, Dog Lane, Bodymoor Heath B76 9JD, which we also pass on the walk. Walking boots or stout footwear are recommended, but not essential on this walk. Also please ensure dogs are kept on the lead as sheep and cattle may be grazing. PLEASE NOTE: Everyone is welcome but participants must consider themselves to be on a private excursion - neither the organisers nor the ITI West Midlands Group can accept any liability for accidents or injuries sustained by anyone involved. The nearest railway station is Tamworth. If anyone needs picking up from there, I will be glad to assist. Get creative, indulge your love of language, play with words and discover your own voice! Join Ros Mendy and Alison Layland for a fun day of creative writing prompts, discussions and exercises in a supportive atmosphere. No previous creative writing experience necessary. The workshop will be run in English, but feel free to write in any language(s) you like. The Birmingham & Midland Institute (BMI) is a Grade II* listed building in the heart of Birmingham, a 15-minute walk from New Street station. The room is fully accessible for wheelchair users. Alison Layland (MITI) translates works of fiction and creative texts from German, French and Welsh. In 2002 she won first place at the National Eisteddfod with a short story written in Welsh. 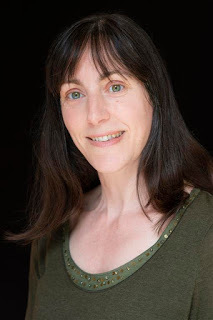 Her first novel, Someone Else’s Conflict, was published in 2014, and will be followed in June 2019 by Riverflow, both published by Honno. Ros Mendy (MITI) translates marketing materials and children’s books from German and French. 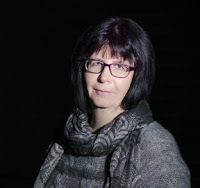 Writing as Ros Woolner, she has had poems published in journals and anthologies and her poem ‘Sack of Night’ won 2nd prize in the Wolverhampton Literature Festival poetry competition in 2018. Her first book of poetry, On the Wing, was published by Offa’s Press in 2018. Translation is a challenging task that requires advanced linguistic, intercultural and research skills; even Ludwig Wittgenstein, a thinker not unduly daunted by intellectual complexity, had to concede that ‘[i]t is a difficult business’. For many professional practitioners, translation is also a labour of love. In the survey that forms the core of my PhD research on working conditions in the current translation market, a number of respondents talk about their passion for ‘the work itself’, and almost 60% strongly disagree with the suggestion that they might ever want to do anything else for a living. This ‘difficult business’ of translation is also an extremely lucrative one: a multi-billion dollar growth industry dominated by profit-driven corporate LSPs that arguably seek to marginalise highly skilled professional experts as expendable ‘translation resources’. With increasing pressure on deadlines and bottom lines, many survey respondents find themselves working longer hours and/or at greater speed than they would ideally like to, and they worry about the quality they are able to deliver under these conditions. What does sustainable success look like under current (and future) market conditions, and what (more) can be done to help novice translators achieve it? Silke Lührmann completed her first paid translation (of an opinion piece on the financial markets) in 1998, her first book-length translation in 2005 and her translation degree (MA in Literary Translation from Swansea University) in 2013. She has been working as a professional translator, writer and editor in Germany, New Zealand and the UK for over 20 years. 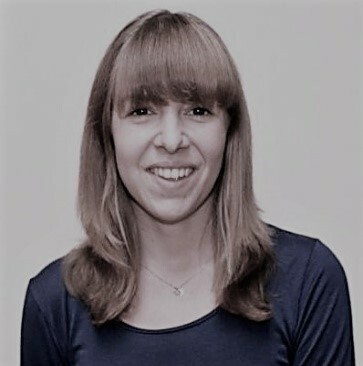 In 2015, she was awarded funding from the Arts and Humanities Research Council (AHRC) to start a PhD in Translation Studies at the University of East Anglia in Norwich, exploring the impact of recent changes in the translation industry (automation, “massification”) on the working conditions, status and agency of professional translators. She currently combines freelance translation with academic research and occasional teaching/lecturing. Bewdley, Saturday 26th January 2019 11:30 a.m. The first walk of 2019 is based on the historic town of Bewdley and the Wryre Forest. It is an easy 6 mile circular walk with a few stiles, uphill to start with, then undulating, before descending steadily along a disused railway, and finally on level ground beside the river. We will be walking on public footpaths, forest tracks, a cycleway/disused railway line, and occasionally on quiet country roads. It is possible to shorten the walk by 1 or 2 miles in the event of bad weather, or to take an alternative route back if the River Severn is in flood. Brief description: leaving the car park we first walk downriver for a short way, before turning westwards to skirt the town on public footpaths. We enter the Wyre forest at Coppice Gate. Following clearly marked forest trails we then head in a north-westerly direction to join the disused Tenbury to Bewdley railway line at Lodge Hill Farm. From there it's downhill until we join the river Severn at Dowles Bridge from where we return along the North Worcestershire Path to our starting point. Meeting point and Parking: We will meet outside the St. George's Hall cafe in Load Street car park at 11:30. There are public toilets in the car park and lots of shops etc. a few yards away. For those who want to stay afterwards, I suggest we meet for refreshment in The George Hotel, just around the corner from the car park. Please make sure you park in the lower (long-stay) car park, and not the upper (short-stay) car park. The rate for 3 to 6 hours is currently £4.60. I would advise against paying a cheaper rate of £2.80 for up to 3 hours, as I think this will not allow us enough time. Rates are similar to those above. Walking boots or stout footwear are recommended on this walk. Also please ensure dogs are kept on the lead as sheep and cattle may be grazing. The West Midlands Group of the ITI wants to meet you! If you are involved in translation or interpreting in the West Midlands or are studying modern foreign languages and specialising in these areas, we want to meet you. The ITI West Midlands Group is a friendly, vibrant group that meets regularly for professional and social events. Come and join us at the Soloman Cutler on Broad Street to find out more about what the West Midlands Group has planned for the coming year - first drink is on us with your Eventbrite booking form. Kingsbury, Warwickshire Sunday 19 August 2018 11:30 a.m. This is an easy 8 mile walk on even ground, on footpaths, towpaths, and a short section on a road. The theme for this walk is 'birds and water' and we will encounter three types of waterway - lakes, canals and streams - and three types of birds - waterfowl, terns and songbirds, so binoculars are a good idea. We begin by travelling on the Echills Wood miniature railway (picture above), which will take us to the starting point of the walk itself at Far Leys, within the park. A single journey on the train costs £1.00 per head; I have notified the railway company of our group, and they have told me they may be able to lay on a train (or two) for our exclusive use. Unfortunately dogs are not permitted on the trains, and so any dog walkers will have to walk ¾ mile to Far Leys (clearly signposted) on the car-free road that runs parallel to the railway. We will wait for you when we get off the train (journey time approx. 10 minutes). We first walk through the park towards the canal, crossing under the M42 and past several lakes. Turning northwards we walk alongside the Birmingham & Fazeley Canal and enter the RPSB reserve of Middleton Lakes (free admission, no need to be members). We skirt around more lakes before entering the part of the bird reserve that is on the opposite side of the canal. We will stop for lunch in the courtyard of 13th century Middleton Hall**, where there are toilets, craft shops and cafés. We walk round the perimeter of the training ground of an aspiring Championship football club before crossing some fields to enter Bodymoor Heath Road. Here we will have to walk in single file for approximately ½ mile back to the canal. We then follow the towpath in a southerly direction passing the Dog & Doublet pub. We can stop there briefly for refreshment if time permits, and it is where we will be eating afterwards. We leave the canal near a lock and walk across fields to the village of Marston, at which point we re-enter the park and return to our starting point. *The nearest railway station is Tamworth. If anyone needs picking up from there, I will be glad to assist. **The Hall is hosting a fee-paying Napoleonic Re-enactment weekend on 14th and 15th July, so there may be some restrictions on access to the Hall, but there should be no obstructions to the route of our walk. Please join us for a social and cultural get-together in Coventry. Meet: Coventry Cathedral at 1.30 pm for guided tour at 1.45 pm. The tour lasts between 1 and 1 ½ hours, and the WMG will be paying for tea/coffee and CAKE in the café afterwards! As well as being a place of worship, Coventry Cathedral is a renowned centre for peace and reconciliation and the arts. The cost of the tour is £8 per person. b. Discussion on how to obtain consent for future publication of pictures. Kenilworth, Saturday 20th January 2018 11:30 a.m. The first walk of 2018 is based on the historic town of Kenilworth and its mediaeval castle. Although 7 miles in length, it is an easy walk with no stiles, and no climbs or descents of any note. We will be walking along a disused railway track or quiet tarmaced lanes for half of the walk. The remainder of the walk (the second half) will be on public footpaths across fields, where it can get muddy and slippery. If the weather turns nasty, or someone needs to get home earlier, there is the possibility of shortening the walk to around 4 miles by leaving the disused railway track and walking on the pavement along Red Lane back to Kenilworth; however, taking this short cut will mean missing the splendid views of Kenilworth Castle. We leave the car park and walk through Old Kenilworth passing the ruins of its Abbey on the way. We then walk along Hollis Lane, a quiet country byway with a broad verge, to join the Coventry Way, a disused railway line. We will stop for a lunch break just before we leave the old line at Burton Green. We then head south west towards Rudfyn Manor. We need to take care when crossing the busy Birmingham Road, the A452, in order to reach the drive to the Manor. At the Manor, we turn south east and have our first view of Kenilworth Castle, away in the distance. We gradually approach the Castle from the north west and encircle its ramparts before finishing back at our starting point. Take care again when we leave the English Heritage car park and have to cross the B4103 very close to the finish. Because the pub is directly opposite the castle, there is a charge of £ 6.00 to park there all day. However if you later place a first order in the pub they will refund you £ 2.00 of the parking charge upon presentation of your ticket. We will be able to use their toilets etc. on arrival. Parking here costs just £ 2.00 for 4 hours, £ 2.50 for 5 hours, £ 3.00 for 6 hours. Toilets are available in the swimming pool at the far end of the car park. If you choose to park here (it seems to be a popular, relatively small car park), and you cannot find your way to our starting point at The Queen & Castle, do not despair, we will be walking through this car park 10 minutes into the walk and you can join us at that point. I do not know how much it costs to park here, because at the time of my visit the parking meters were being replaced and it does not say on the website what the parking charges are. When you drive to the EH Castle car park you will pass the Queen & Castle pub so you will know where to meet up with us. Short outline: International NGOs work in highly multilingual contexts, yet languages and translation tend to have a low profile in these organisations, with language and translation policies often not being in place. This talk will explore the role of translation in the delivery of development programmes by drawing on data collected through interviews with staff at four international UK-based development NGOs, including translators and bilingual staff whose main task is not translation. Wine is working as a postdoctoral research assistant at the University of Reading on the AHRC-project "The Listening Zones of NGOs: languages and cultural knowledge in development programmes", led by Professor Hilary Footitt. The project is led by Reading University with the University of Portsmouth and the International NGO training and Research Centre (INTRAC), Oxford. The talk will tackle the situation of interpreters in Afghanistan and Iraq, the responsibility of the UK and the US towards them and the work of Red T and other organisations that work to help them. 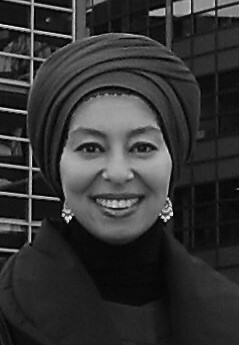 Maha is a conference interpreter and translator who, over the past 17 years, hase worked for a wide range of international organisations, including the European Institutions, the United Nations and the Red Cross. Her languages are Arabic (A), English (B), French and Dutch (C). She is a member of the International Association of Conference Interpreters (AIIC), ITI and the Chartered Institute of Linguists. Carsington, Saturday 15th July 2017 11:30 a.m. This year's summer walk is based in the vicinity of Carsington Water in the Derbyshire Dales, just outside the boundaries of the Peak District National Park. The walk offers a variety of terrain, spectacular views, and industrial archaeology. There will be a lunch-break at Middleton Top Engine House, where there is a small café and toilets. The walk is just under 6½ miles in total and is divided into three stages. 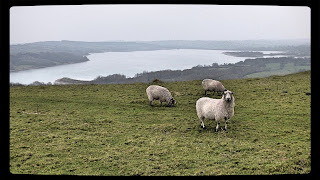 For the first stage we pass through the pretty hamlets of Carsington and Hopton and then walk steadily uphill, covering 100 metres of vertical ascent in total, to reach Middleton Top The climb takes us across gated sheep pastures and past old mine workings. There are a couple of stiles on the ascent but most of the field boundaries are marked by well-maintained gates or steps in the stone wall. For the second stage we head westwards along the High Peak Trail, a former railway line now converted to a wide footpath and cycle track. We pass through a tunnel. After about 2 miles of easy walking we leave the Trail and turn left. 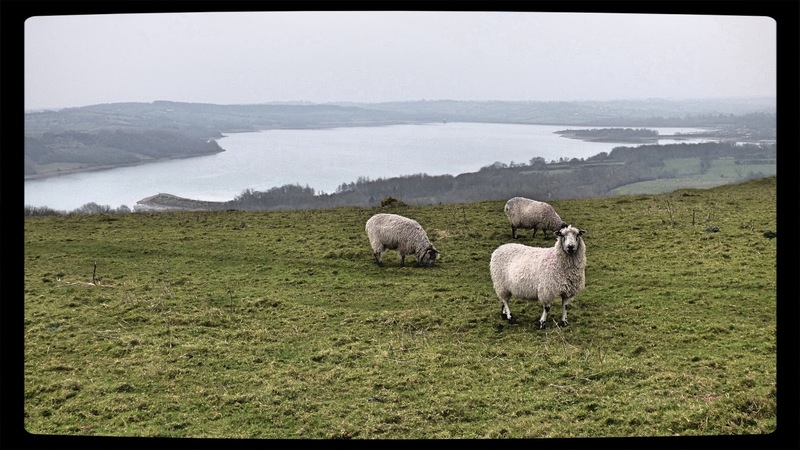 For the third stage we head southwards with spectacular views of Carsington Water ahead of us. We pass a wind farm and will pause briefly at the King's Chair, before descending steeply back to our starting point. Meeting point: The car park of The Miner's Arms, Main Road, Carsington, Derbyshire DE4 4DE. The landlord has kindly offered use of his facilities (toilets, free parking, coffee/tea etc.) when we arrive, and we can eat at the pub afterwards if we so wish. Walking boots or stout footwear are essential on this walk. Also please ensure dogs are kept on the lead as sheep and cattle may be grazing. It's all Tweet to me. A panel discussion on the merits or otherwise of social media applied to our industry. "Ensuring quality and social media". Our goal is to have a diverse discussion on whether social media like Twitter can contribute to quality (in translation) or whether they are merely a phenomenon illustrating that the "loudest" person "wins". We expect to start at 2pm, with a quick introduction of the panel members. Starting with several prepared questions, we hope to engender a lively and interesting debate. The panel discussion is expected to last for about one hour and then we will open it up and invite questions from the audience or panel members themselves, for about 40 minutes. This year’s winter walk takes us through the historic town of Ludlow and northwards up the Teme Valley. We’ll have a stop half-way round at the Ludlow Food Centre (good farm shop, takeaway drinks, toilets). The walk is about 6½ miles long and fairly flat though it is likely to be muddy. We’ll set off from the Buttercross at the top of Broad Street in the middle of Ludlow at 11.30. There’s plenty of pay carparks in the town (best to pay for more than 4 hours). Why not come early and meet me for a coffee at nearby Costa Coffee? Or stay on after the walk and explore Ludlow, one of England’s finest old towns. Bring a snack to eat at the halfway stop on the walk if you want but some of us may choose to eat a meal afterwards. The walk will go ahead if the weather is rainy but if snow is forecast I will post email updates. Please let us know via the e-group if you plan to come or contact me direct if you have any particular concerns or queries. On a personal note, the 2017 WMG walks are likely to be my last because I am planning to move back to the North-West later this year. Fortunately a volunteer has already come forward to take over as walks organiser – Clive Walker, who many of you will already know as our photographer on recent walks. Clive is an experienced walks leader and is based in Tamworth, giving the group the opportunity to explore the northern and eastern sides of our region more. PLEASE NOTE: Everyone is welcome but participants must consider themselves to be on a private excursion – neither the organisers nor the ITI West Midlands Group can accept any liability for accidents or injuries sustained by anyone involved.